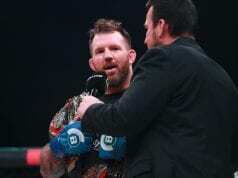 Ryan Bader says that he actually saw into the future when it comes to his latest fight inside of the Bellator cage. The Bellator light heavyweight champion made history when he took on MMA legend Fedor Emelianenko. This fight served as the headliner of Bellator 214 on January 26, 2019, at The Forum in Inglewood, California, on Paramount Network and DAZN. In round 1, the light heavyweight champion dropped him with a left hook and Fedor was out on his feet. Bader followed up with a right hand for extra measure to win the heavyweight tournament final. Following the fight while speaking with the media, Bader made it known that he saw this moment while preparing for the fight. Thus, when he actually pulled it off, he’s not surprised. “You know what? 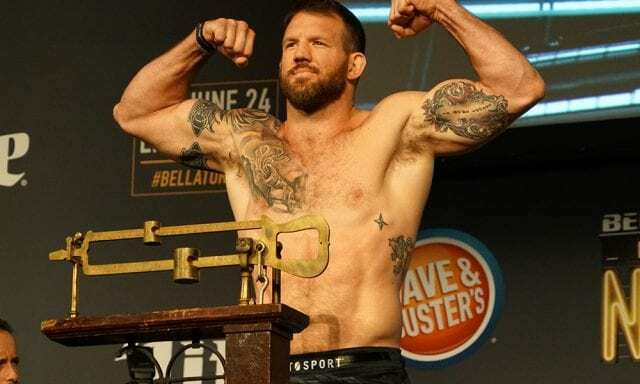 I saw that moment,” Bader said at Bellator 214’s post-fight press conference (H/T to MMAFighting). “And you can ask my team, we practiced that moment a lot. I saw that punch was going to do it. You can’t see his right hand because he throws from his hip. He’s very hard to see, he throws hard. But in doing so, you leave yourself exposed. And we felt that he was going to respect my wrestling a lot, and I could put one up top. If you look through any of the footage on the Countdown shows and all of that kind of stuff, we were practicing that punch the whole time.